Emma Leys has been appointed Kott Gunning’s new Managing Partner, taking over from Stephen Williams who has led the firm through a strategic rebrand over a number of years. The role includes overseeing the firm’s big picture direction and strategic opportunities, and Emma is honoured to be taking on that responsibility in the firm’s centenary year. “It’s an exciting opportunity to be Kott Gunning’s Managing Partner in the year we are celebrating our firm’s 100th anniversary,” says Emma, who started as a property lawyer at the firm 20 years ago, and has been department head of the Commercial and Property team since 2005. Emma, a “people person”, is known for her friendly and approachable leadership style, open door policy and willingness to listen. The firm’s focus on supporting a people-centric workplace culture is something Emma is passionate about. “Our people are our most important asset and are really at the firm’s core,” she says, noting the family-like quality that comes with having many team members who have enjoyed and stayed working with the firm, for decades. As Managing Partner, Emma is keen to continue the firm’s tradition of building and valuing strong relationships – within the firm, with clients, and with the charities Kott Gunning supports. “Many of our firm’s clients have been clients of the firm for decades and are an extremely important part of our history. We put a lot of value on and take a lot of pride in those relationships”, she says. Kott Gunning’s 100 year milestone is largely thanks to the strength of those relationships and the values of our team, says Emma. For more information about the centenary, follow #kottgunning100years on social media and contact Marketing Manager Tanya Kay on 08 9321 3755. The Property Council of Australia’s WA Commercial Property committee is focused on policy issues relating to commercial construction, leasing, management, safety and sustainability. Across the country the Property Council received a total of 3,043 nominations for committees, resulting in the 2019 – 2020 committee positions consisting of 44% women and 56% men. Kott Gunning is a longstanding member of the Property Council of Australia in Western Australia and partner Emma Leys leads the firm’s property team. Emma and our team advise on all property law related matters, both non-contentious and contentious, for an extensive client base including property owners, tenants, developers, investors, managers, financial institutions, government authorities and statutory bodies. Members of the Property Council play an essential role in informing advocacy on policy and regulatory issues, as well as contributing insight and expertise to the breadth of activities and programs the Council delivers to support a dynamic, diverse and prosperous property industry. Emma is passionate about the Western Australian property industry and has made a personal commitment to contribute to the future of the industry. She is looking forward to working with fellow committee members to promote the interests of the commercial property sector in Western Australia. Kott Gunning Lawyers is pleased to announce that we are kicking off our 100th year with prominent property and strata titles lawyer John Park and members of the Park Legal Solutions team, combining forces. Park Legal Solutions is a successful CBD general contentious and non-contentious legal practice with a particular focus on strata property matters on which John is considered a market leader in Western Australia. John is well regarded within the property sector as a skilled negotiator on behalf of clients on contract, strata and franchising matters. The Park Legal Solutions team will enhance Kott Gunning’s strong property, construction, commercial, franchising, insolvency litigation, family law and debt recovery services by providing further capacity. “My strata clients say the timing is perfect to partner with a medium-sized firm providing end to end solutions for strata and dispute resolution,” said partner John Park. Together, the two client-focused firms offer comprehensive, cost effective legal services in the areas of commercial, property, building, franchising, insolvency, employment, local government, insurance, litigation, family and debt recovery. Also joining Kott Gunning’s Commercial Dispute Resolution team from Park Legal Solutions are lawyer Jack Carroll, law graduate Abbi Beckwith and law clerk Rebecca Barker. For more information on this merger, please contact John Park on 08 9321 3755. Short term Accommodation Inquiry now taking submissions! The Economic and Industry Standing Committee of the WA Parliament is currently conducting a preliminary inquiry into the issues associated with the regulation of short term accommodation and potential resolutions (such as using the Deemed provisions contained within the Planning and Development (Local Planning Schemes) Regulations 2015). If your Local Government is interested in making a submission, please see the terms of reference below. The forms and regulatory status of short-stay accommodation providers in regional and metropolitan Western Australia, including existing powers available to local government authorities. The changing market and social dynamics in the short-stay accommodation sector. Issues in the short-stay accommodation sector, particularly associated with emerging business models utilising online booking platforms. Approaches within Australian and international jurisdictions to ensure the appropriate regulation of short-stay accommodation. The deadline for submissions is 25 January 2019. The Committee will report to the House by 27 June 2019. If you have any questions, please contact Carol Hamilton on 08 9321 3755. Kott Gunning recently hosted an emergency briefing for clients about the RCR Tomlinson collapse. Partner Tom Darbyshire covered a lot of ground with Travis Kukura of RSM Australia giving attendees important insights into the administrator’s perspective. When dealing with the administrators, remember that they have to quickly do a big, complex job, where they will become personally liable for company expenses. In other words they can lose their house if they get it wrong. They won’t make decisions that might expose them personally. Property owners (other than land) – if RCR had possession of your gear, and the administrators won’t return it, there could be many reasons for this. Best case scenario, it is just taking them a while to verify that it belongs to you, and you will get it back when this is done. Worse case scenario, you had an unperfected security interest, and the property now belongs to the company. Get advice right now. Contractors and suppliers – you also need to get advice before you attempt to terminate contracts with RCR. Just because they have gone into voluntary administration doesn’t mean you should, or can, terminate a contract with them. Creditors control the voluntary administration process. If you think that RCR owes you money, get onto the portal on McGrathNicol’s website and register your claim. That way you can attend the first creditor’s meeting in Perth at the Duxton Hotel on Monday, 3 December 2018 at 10.00am. Kott Gunning will be holding a follow up client briefing in a couple of weeks. To ensure you are kept up to date with developments, we suggest you register your interest at events@kottgunn.com.au and follow the speaker Tom Darbyshire on Linkedin. Contact Tom on tdarbyshire@kottgunn.com.au and 08 9321 3755. 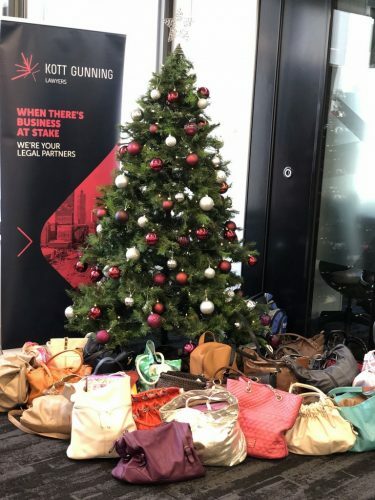 Thank you to Kott Gunning staff, AMP, Knight Frank and everyone who contributed to Kott Gunning Lawyers‘ #itsinthebag campaign by dropping off a handbag filled with items to 140 St George’s Terrace between 16 November and 2 December. We managed to donate a total of 43 bags to Starting Over Support and People Who Care. The support for women in need from people in our building who care, was inspirational. Thank you in particular to family lawyer Danielle Hadida and Valerie Neal from Knight Frank for making this possible! For more information on how you can assist Starting Over Support and People Who Care please contact Brad Ball on bradley.ball@peoplewhocare.org.au or ring 9379 1944. Kott Gunning has prepared the below #cyberthreatregister, to help businesses stay informed about data breaches and cyber incidents in 2018. March Svitzer – hack/data breach Svitzer, a shipping company, has reported that over 50,000 emails had been forwarded to a third-party, with potential lost details including tax file numbers and superannuation account numbers. This was one of the first incidents reported under the mandatory data breach reporting laws that took effect in February. April Facebook / Cambridge Analytica – data disclosure / harvesting An estimated 87,000,000 Facebook users have had their data harvested by third-party Cambridge Analytica through online surveys. May Commonwealth Bank – potential data loss/disclosure The CBA has confirmed it may have lost two data tapes containing financial statements of nearly 20,000,000 customers. The tapes were meant to be destroyed. However, the CBA did not receive the requisite proof of destruction document, so the tapes could be out there somewhere. May PageUp – hack/data breach/malware PageUp, an online HR software platform, has admitted that malicious code was executed on their systems. The extent of the breach is unclear, however data may have been accessed including bank details and tax file numbers! April/May Family Planning NSW – hack/data breach Hackers have accessed Family Planning NSW’s database, potentially stealing up to 8,000 people’s personal information. The hackers reportedly demanded a $15,000 ransom. June Ticketmaster – hack/malware/data breach Ticketmaster has reported that malware has resulted in a data breach with potential theft of customer details including names, email addresses, login details, and payment information. July HealthEngine – accidental data disclosure HealthEngine, a medical appointment booking website, has admitted to a data breach. The breach involved users’ identifying information being accessible to anyone after leaving a review. July Tasmanian Electoral Commission (TEC) / Typeform – hack/data breach The TEC has reported that Typeform had been hacked, with voter details accessed (including name, date of birth, and email address information). Typeform is a third-party company that collects data for the TEC. July Apple – employee theft /data disclosure An Apple employee is alleged to have downloaded internal commercial data and attempted to take them to China. The data included the blueprint for a self-driving car circuit board. July US military – hack/data breach US military documents have been stolen after a hacker accessed an Air Force captain’s router. The breach includes sensitive documents about US military drones. July Aviation ID Australia – hack/data breach Aviation ID Australia has been hacked, admitting that a “localised portion” of their website had been accessed and they were unable to confirm what information had been accessed. The company issues Aviation Security Identity Cards, which allow access to secure areas of airports. July Singapore government – hack 1,500,000 patients of Singapore Health Services have had their personal data stolen, including names, addresses, and dates of birth. Singapore’s Prime Minister is one of those affected. A timely reminder of the insecurity of the internet with Australia’s new online My Health Record! August Banks internationally – potential hack The FBI is warning that cyber criminals are targeting banks with cloned cards and hacked payment processors to withdraw money from ATMs. October Cathay Pacific – Data Breach The passport numbers, identity card numbers, frequent flyer program membership numbers, customer service remarks and historical travel information of up to 9,400,000 passengers have been stolen after the airlines IT systems were hacked. The combination of personal information stolen is particularly concerning to the extent that the airline has had to recommend that all passengers monitor their accounts for suspicious activity. November Austal – Data Breach Defence shipbuilder Austal’s business was hit with a data breach and extortion attempt. Some staff email addresses and mobile phone numbers were accessed in the breach. The attacker tried to sell certain materials on the internet and engage in extortion. If you have any questions or concerns regarding your business’s risk exposure or need legal advice following a hack – contact our cyber, data protection and reputational risk team Tim Kennedy, Stephen Williams and Tom Darbyshire on 08 9321 3755. A 1913 photo featuring a number of prominent Western Australian lawyers recently found in the Old Court House Law Museum collection inspired the Armistice exhibition to commemorate the 100 year anniversary of the end of World War One. Some of the individuals in the photo were unable to contribute to the war effort, some returned after active service and some never returned. Max Kott (pictured far right in the second row) returned to establish what is today, independent commercial law firm Kott Gunning. Kott Gunning Lawyers is proud to support the From Law to War to Peace Heritage Conversation to tell Max’s story and the stories of others in the photograph, both before, during and after their wartime experiences. The From Law to War to Peace exhibition is on at the Old Court House Law Museum till the end of the year. Max was born in Fremantle in May 1891 and was educated in the goldfields and at Perth Boys’ School. In 1910 her began his articles of clerkship with Judah Moss Solomon Esquire and then joined the AIF in 1916. Max worked in the AIF Headquarters in London until early 1919. After the end of the War he studied at London University, and after returning to Australia he was discharged from the army and admitted to the Bar. His first practice was M Kott, Solicitors located in Weld Chambers and he was the founding partner in 1919 of Kott Gunning. He was entered onto the High Court Register in 1920 and to the Supreme Court of New South Wales in 1923 as a Commissioner to take and receive Affidavits. Max was also entered in the Supreme Courts of South Australia, Queensland and Victoria. Max married Lilian May Lucas in 1925. In 1934 he was entered into the Supreme Court of Western Australia as a Public Notary As sole practitioner under the name M. Kott he practised predominately in the areas of insolvency, mining law and litigation. In 1949 he went into partnership with Bob Wallace and formed Kott & Wallace. Max was elected to the Claremont Roads Board and served on the Claremont Council for 26 years. He was an active environmentalist and a founding member of the Swan River Conservation Board from 1950 until 1965 and instrumental in establishing their legislation. He was a life member of the Western Australian Turf Club. Max died in 1976. More details about the From Law to War to Peace Heritage Conversation and Exhibition can be found on the Law Society of WA’s website and Old Court House Museum’s Facebook page. 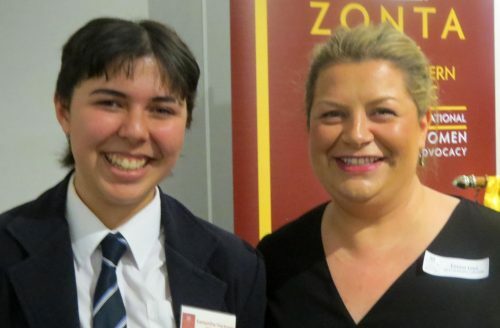 Perth College Year 12 student Samantha Hackman has won the 2018 ZONTA Club of Perth Northern Suburbs’ $1,000 Young Women in Public Affairs Award. A cheque and certificate were presented at a dinner at Ambrose Estate Wembley on 5 September. Kott Gunning has been a Gold Sponsor of the Awards since 2012. “ZONTA’s mission of empowering women worldwide through service and advocacy, is something we strongly believe in. Our firm, likewise, strives to empower all our team members to achieve their full potential. We encourage the pursuit of excellence, and regularly contribute towards prizes and awards to recognise individual achievements. We feel this particular Award is really worthwhile in encouraging our women leaders of the future.” said partner Emma Leys. Dedication to the advancement of the status of women. Since that time 888 awards have been given to 756 young women representing 56 countries. These young women will be tomorrow’s policy-makers and world leaders. Samantha has already shown great leadership, educating and assisting her peers about mental health. She believes mental health should be treated as a comma and not a full-stop as life should go on with time, support and treatment. On the world stage she is a member of the United Nations’ Youth West Australia and has been selected to represent this State in Adelaide. Samantha believes that women should look out for each other. She added, “Women are bombarded by social media with societal expectations. Women need to lead by example and not worry about ‘fitting in’ or ‘how they look’. Our priority should be integrity of character and what one stands for”. In her ideal world Samantha would like to volunteer her services to the developing world to help advance sustainable agriculture. She would like to complete a Bachelor of Arts majoring in Political Sciences, International Relations and Agricultural Sciences. Zonta International is a leading global organisation of professionals empowering women worldwide through service and advocacy. For more information about ZONTA go to www.zonta.org, or www.zontaperthns.org.au, or contact them via secretary@zontaperthns.org.au. Featured Image LTR Rhonda Carson, Maddie Barrett (last year’s winner), Samantha Hackman and Danielle Hadida. Now in its sixth year the AIM WA Pinnacle Awards are WA’s most reputable business leadership awards. The Awards recognise outstanding organisations for business excellence across the corporate, government, community and not-for-profit sectors in Australia that have a significant footprint in Western Australia. Each winner, in one of the eight organisational categories, will receive leadership and management training to the value of $20,000 to give to a charity of their choice. Over the years the awards have contributed an amazing $450,000 towards WA Charitable organisations. Kott Gunning Lawyers is proud to support business leadership excellence in the community through the AIM WA Pinnacle Awards in 2018, together with Hawaiian, SRG Group, RAC, People2People, Curtin University, Print Sync and Perdaman. The Kott Gunning Lawyers Emerging Business Excellence award recognises organisations that have been operating for less than five years and in that time have advanced as leaders in their field. Entry to this award is open to organisations across the corporate, government, community and not-for-profit sectors in Australia that have a significant footprint in Western Australia which have achieved outstanding results that demonstrate leadership and commitment to excellence in business. The Pinnacle Awards Gala event will take place on Thursday, 21 March 2019 and the organisers are again expecting over 500 people from the WA business community across many sectors and industries to attend. Book your tickets on the Pinnacle Awards website. The West Australian is the media partner for the Pinnacle Awards and we would like to thank them for their coverage of this important community initiative. The Court of Appeal confirmed on Friday 3 August 2018 that retrospective planning approvals, ie issued after development has commenced, do not retrospectively approve the development. The development is only approved from the date of approval. In the case of Bright Image Dental PTY LTD -v- City of Gosnells  WASCA 134, the convicted company appealed from the decision of the Supreme Court (General Division) Appeal decision to confirm the conviction secured at the Armadale Magistrates Court. “57. The subsection does not render lawful the past conduct which resulted in the construction of the building, or the past unlawful use, but only the ‘development’ which has been approved, being either, say, a building, or the future use of the land. If it had been the intention of the legislature to provide that conduct which was unlawful, and which constituted a criminal offence at the time it was carried out, should be retrospectively legitimised, so that it never was unlawful, it would be reasonable to expect clear and unequivocal language to have been used. How does this decision affect Local Governments and Developers? This case confirms the long held belief that a section 164 Planning Approval only approves from the date of approval. Any pre-existing period where the development had already commenced but approval had not been granted, is still subject to prosecution by the local government. This case is a clear warning that whilst the Courts may take a subsequent approval into account when determining penalty, commencing development without prior approval does expose developers to criminal prosecution. For more information, please contact Local Government partner Anne Wood on 08 9321 3755. The information published in this paper is of a general nature and should not be construed as legal advice. Whilst we aim to provide timely, relevant and accurate information, the law may change and circumstances may differ. You should not therefore act in reliance on it without first obtaining specific legal advice. The Legal Costs Committee (Committee) has brought in some important changes relevant to legal practitioners who practise in the area of contested deceased estates. The Committee has introduced caps on the amount of party and party costs recoverable in applications for further provision from an estate. Item 12(a) caps the maximum allowance for plaintiffs, executors and beneficiary defendants prior to their participation in mediation at $7,250, $1,000 and $4,000 respectively. The Committee has specifically mentioned that the allowances should be reduced if affidavit material goes beyond the scope of what is necessary and required. Item 12(b) caps the maximum daily allowance for participation in mediation by plaintiffs, executors and beneficiary defendants at $4,000, $1,000 and $4,000 respectively. Notably for executors (or personal representatives) this is capped at $1000 to reflect the limited role they have in these sorts of proceedings. Namely, their role is principally to assist the court by informing it as to the size of the estate. Item 12(c) caps the maximum sum claimable following trial which has been capped at 40 hours at the relevant practitioner scale rate. Most notably, item 12 specifies that, unless otherwise ordered, a successful claimant cannot seek costs in excess of the amount of provision they are awarded. The above might be a result of the recent comments by Justice Curthoys as to proportionality in the decision of Miller v Taylor  WASC 75, where the total legal costs for a modest estate were at least 50% (and potentially up to 80%) of the value of the estate. For more information or any other wills or estates matter, please contact litigator Ann Spencer on (08) 9321 3755. The Workers’ Compensation and Injury Management Amendment Bill 2017 (WA), which we commented on in our article dated 27 November 2017, was passed by both houses of the WA Parliament on 14 June 2018, without any changes being made by the Legislative Council. The Bill, which primarily addresses claims by dependants of deceased workers, received royal assent and became law on 20 June 2018. As a result, several amendments have been made to the Workers’ Compensation and Injury Management Act 1981 (WA) centred around increasing workers’ compensation entitlements for dependants of deceased workers and simplifying and expediting the claims process for claims by those dependants. The lump sum entitlement for dependants of deceased workers has increased to 250% of the prescribed amount (the maximum amount payable to injured workers for non-fatal injuries) and will be indexed annually (this year the lump sum payable is $570,767). Any apportionment between dependants is stipulated, with partners receiving a higher portion than children. The weekly child’s allowance has increased from $58.90 to $133, also to be indexed annually. Other entitlements, such as for funeral expenses, are also increased. There is a stipulated regime for dependants’ claims to be promptly assessed by insurers, along with a fast-track process enabling claims to be expeditiously determined by a WorkCover WA arbitrator. ‘De facto partner’ is no longer defined in the Act and has the meaning given in the Interpretation Act 1984 (WA). Significantly, the two-year requirement to qualify as a de facto partner of a deceased worker is removed. On 1 July 2018 the fees for Development Assessment Panel (DAP) applications have changed. Please see the below table outlining the changes which were published in the Government Gazette on 26 June 2018, and take effect from 1 July 2018. So, remember when lodging applications with DAPs, these new fees will have to be paid. Please contact partner Anne Wood if you would like more information or have any questions. In case you missed it in the Budget 2018-19…make sure that your wages bill is tax deductable. The Federal Budget contained a number of business tax initiatives, some beneficial and some with a potential sting. On the benefit side the instant asset write-off for small capital items has been extended. Small business entities (SBEs) with aggregated annual turnover of less than $10 million will be entitled to claim as deductions capital purchases not exceeding $20,000 for a further 12 months until 30 June 2019. SBEs that have the cash flow to make these equipment purchases will benefit from a lower tax bill in the year they make the purchase. A potentially costly amendment for businesses that use small contractors, is a provision aimed at cutting down the cash economy. The proposed provision will put the onus on businesses to make sure that all subcontractors provide an ABN. If passed into law, tax deductions for contractors’ payments may be denied unless the business has withheld PAYG from the payment when a contractor fails to provide an ABN. Deductions will also be denied for wages if businesses do not withhold and remit PAYG when there has been a requirement to do so. This is an added burden on a business over and above the existing penalties for not properly accounting for PAYG, effectively using good businesses to police the cash in hand contractors. For more information and a confidential chat please contact partner Greg Mohen on 08 9321 3755. Partner Stephen Williams recently published a Legal Update Mobile Phones and Cancer – The Next Asbestos? about an Italian case which created some concern in the telecommunications and health industries. Apparently a study of brain tumours has shown an increase in a particular kind of tumour, possibly related to the use of mobile phones, with more research being required before any definitive conclusions can be reached. Until the use of mobile phones is cleared as a cause of cancer, it remains sensible for reasonable precautions to be taken as regards their use. This week the Commonwealth Bank finally admitted to a potential data breach affecting an estimated 19.8 million customers’ accounts (presumably every single Commonwealth Bank customer). Read the Commonwealth Bank Data Security Breach – Because the Banking Royal Commission was not Embarrassing Enough article for more information. WorkCover WA has announced an Employer Compliance Campaign focusing on the residential construction industry. Inspectors from WorkCover plan to perform compliance checks on businesses in this industry primarily to ensure that workers’ compensation insurance policies are up-to-date. There is nothing new about this requirement, as workers’ compensation (employers’ indemnity) insurance has been compulsory in Western Australia for a very long time. In addition, the level of non-compliance appears to be low. The consequences of non-compliance are of course very serious for both employer and potentially for an injured worker. The employer is liable for fines of $5,000 per worker plus an amount equal to the premium avoided, backdated five years. The employer is also directly liable for the cost of any claims. Recently we have heard of several high-profile business failures associated with the construction industry and stories of numerous sub contractors (and others) that are seriously out of pocket. Although it is not clearly evident that this compliance campaign by WorkCover is or has been influenced by these relatively recent problems in the construction industry, the fact that those problems have occurred makes the campaign timely. WorkCover has always been prepared to deal with cases of non-compliance, investigate and seek to impose penalties where appropriate. Not so often however has WorkCover taken active steps to investigate the industry. All employers, and particularly those within the class of business that will come under the purview of this investigation should take care to ensure that their work practices and insurances are appropriate and up-to-date. Please contact partner Vidal Hockless on 08 9321 3755 if you have any questions or visit the WorkCover WA website for more information. Kott Gunning is delighted to announce two promotions effective from 1 January 2018. The Insurance and Risk team has promoted Henrik Eklund to Senior Associate and Ann Spencer has been promoted to Senior Associate in the Commercial Dispute Resolution team. Both lawyers joined the firm in 2014 and their promotions follow a series of promotions across three practice groups in July 2017, representing the next generation of leadership and capability at the firm. Ann Spencer acts for corporate entities of all sizes, liquidators, associations, individuals (including on a pro-bono basis), not-for-profit organisations and local governments. She also assists our Wills and Estates team with contested estates litigation. 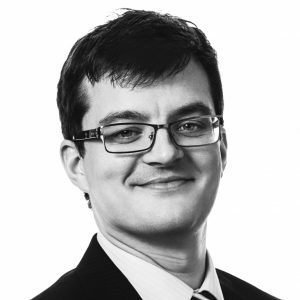 Henrik Eklund practises predominantly in insurance and risk for insurers, self-insurers, corporations and other commercial entities in a variety of industries. Partner Tom Darbyshire said “as an independent 99 year old Western Australian law firm, we are proud to recognise Henrik and Ann’s dedication and commitment to our clients, the firm and the community”. For more information please contact Kott Gunning Partner Tom Darbyshire or Marketing Manager Tanya Kay on +61 8 9321 3755. Red FM dedicates an hour of programming every week to discuss the real topics that FIFO workers are interested in hearing more about, including physical health, financial planning, an exit strategy, Family Law, Mental Health and much more. Hosted by Matt Layton, you can catch FIFO Life at 6am Saturday mornings and repeated Tuesdays at Midnight. Red FM”s Matt asked Kott Gunning’s FIFO family lawyer Danielle Hadida some pressing Family Law questions, listen to the interviews below. Do I need to use a lawyer? In relationship disputes does it make a difference if the two parties are not married? When can you lodge an application for divorce? Do you need to go to mediation? Do you have an obligation to pass on documents to your ex at the end of the relationship? How do I make arrangements to spend time with my kids when my roster keeps changing? When sorting out family law matters, is going to court always necessary? If you do require a lawyer what documents do you need to bring to your first appointment? Do I need property settlement orders? If already divorced, do I still need property orders? The kids say they want to live with me, does my ex have to listen to them? For more information contact Danielle Hadida.